The laboratory provides a wide array of in-house test capabilities. Tests include hematology, urinalysis, chemistry, blood bank, microbiology, serology, and histology. Certain lab tests are offered without a doctor’s order and must be paid for prior to testing. Fasting is required for some tests. If your test requires fasting, please abstain from food or drink (can have water only) for 12 hours prior to testing. If you have questions about which tests require fasting, please review your doctor’s order or contact us with any questions. 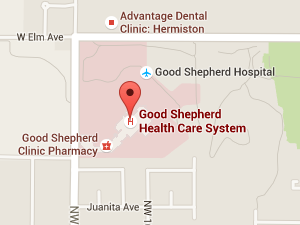 During weekdays please register for Laboratory services in the Main Lobby of Good Shepherd Health Care System. On Saturday and Sunday please register in the Emergency Department.